The wind is howling and the leaves have fallen: ’tis the season, and snow, laughter and fun fill your office. This holiday season, your staff members are looking forward to spiced eggnog and holiday cheer at your annual party. What better way to spread that joy and love long after the eggnog wears off than with fun branded promotional items? We’ve picked the best apparel, gadgets, accessories and trinkets to keep your staff members singing “Auld Lang Syne” well into the new year. We wish you a very happy holiday, and remember: don’t drink too much champagne! There’s nothing like snuggling up in a cozy sweater during the cold winter months. Why not order your office matching sweaters to keep them warm while the weather stays cool? While ordering printed sweaters or zip-ups in bulk may be more expensive than ordering key chains, the benefits outweigh the costs: recipients are comfortable, they are expressing your brand and they will reuse these items over and over. Like matching branded T-shirts, you can ask your office members to wear them for a group picture and create a feeling of camaraderie. Pullover and 3/4 zip sweaters are a few of the most popular styles. Both sweaters are also coming back in style, as Fashionista.com reported a rise in active wear from 2013 to 2014. A warm cup of coffee on a cold winter’s day is the ultimate lifesaver. Gift your employees durable, double-insulated tumbler cups with your company logo on them and watch the smiles on their faces spread! Not only are they strong and reusable, they’re also more portable than a ceramic mug and can handle the heat better than a reusable plastic party cup. Try to find one for your company with a handle so your staff can always take their brew on the go. 3/4 zip sweaters such as these are popular in active wear brands. 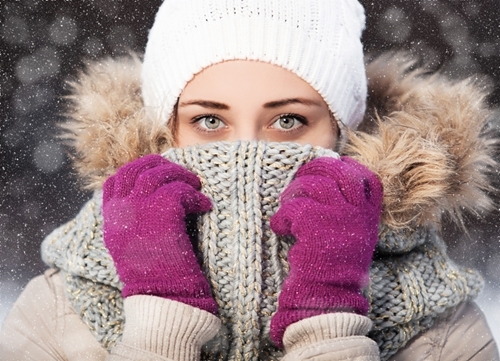 If it’s cold and snowy outside, your employees won’t be going out for lunch very often. Offer them stylish lunch boxes with your company logo to keep their lunches fresh and ready. Over-the-shoulder lunch boxes make for easy transportation while single-handle lunch boxes give off a polished look. Bringing a lunch to work instead of buying one has many benefits, including a reduction in stress-related food purchases and a greater control over your diet, according to Generation Y magazine. Encourage healthy habits for you and all of your coworkers with this fun gift idea! Your staff members carry more than enough things to work as is! Help lighten their load with a functional branded phone wallet. They attach easily to the back of any sized smartphone and can hold your credit cards, debit cards and key card to the office all in one place. This also prevents someone losing their belongings if they happen to lose their purse or wallet. As long as they have their phone, their items can stay safe and sound. ‘Tis the season to be giving. By giving these promotional gifts, you’ll be a part of the holiday cheer, too!